This is 'Ostalgia' in action. Touch screens, sound effects and even the 'DDR Game' mean that the more distasteful aspects of East German life are cheerfully glossed over. The museum is essentially a collection of DDR memorabilia, from travel tickets to Palast der Republik serviettes. 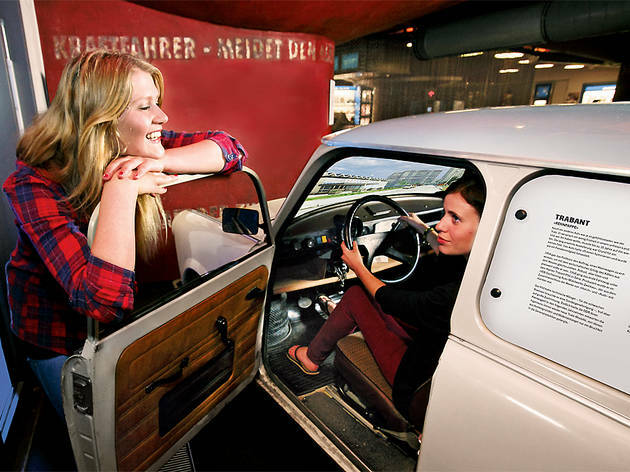 Climb inside the Trabi or sit on a DDR couch in a DDR living room where you can watch DDR TV. Information on the Stasi gets the interactive treatment too - you can pretend to be a Stasi officer and listen in on a bugged flat.